Created, designed, and built by Nikolai Zykov in 2000. Puppet form: "free two rods" self-luminous object puppet. Length: 1 m 90 cm / 6 ft.
Materials: electric lamps, electric wire, fiber plastic. The idea - September 1999. First presentation - March 28, 2000, Moscow State Academic Chamber Music Theatre, Russia. 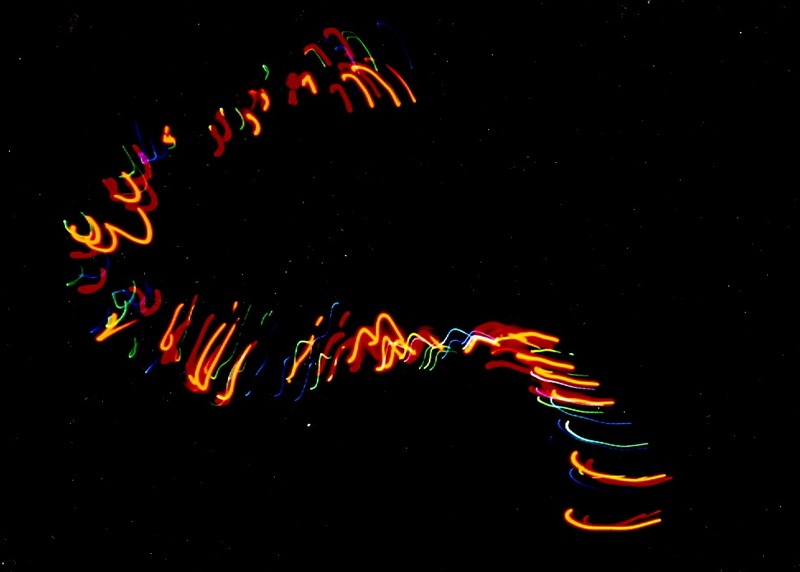 Electric Snake changes its colors and forms and gives very unusual emotions to spectators .